Every week a new data center hits the news with claims of greater than 100,000 square feet at >300 watts/square foot, and levels of security rivaling that of the NSA. Hot and cold aisle containment, marketing people slinging terms such as PUE (Power Utilization Efficiency), modular data centers, containers, computational fluid dynamics, and outsourcing with such smoothness and velocity that even used car salesmen regard them in complete awe. Don’t get me wrong, outsourcing your enterprise data center or Internet site into a commercial data center (colocation), or cloud computing-supported virtual data center, is not a bad thing. As interconnections between cities are reinforced, and sufficient levels of broadband access continues to find its way to both business and residences throughout the country – not to mention all the economic drivers such as OPEX, CAPEX, and flexibility in cloud environments, the need or requirement to maintain an internal data center or server closet makes little sense. 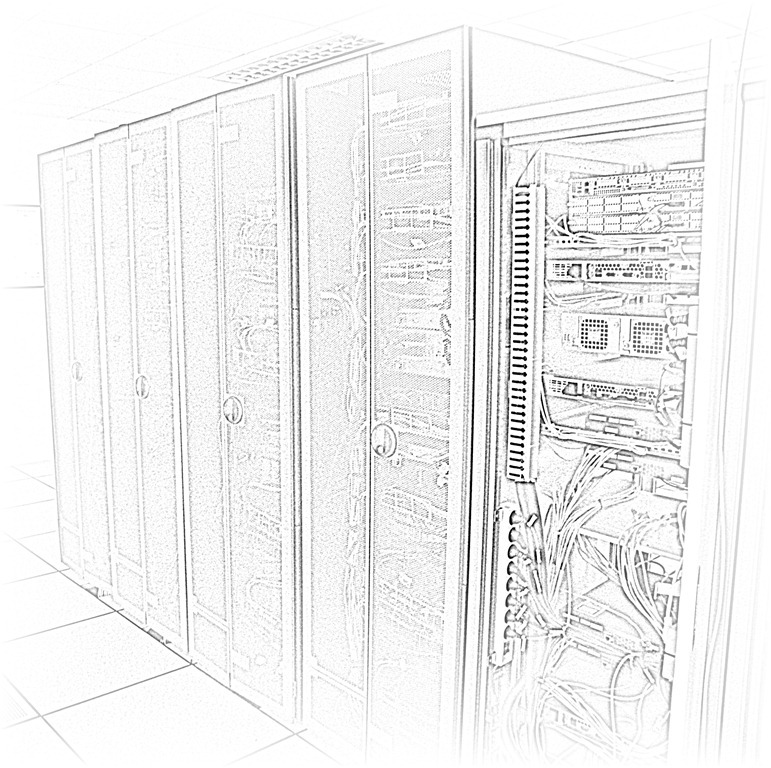 In the late 1990s data center colocation started to develop roots. The Internet was becoming mature, and eCommerce, entertainment, business-to-business, academic, government IT operations found proximity to networks a necessity, and the colocation industry formed to meet the opportunity stimulated by Internet adoption. Many of these data centers were built in “mixed use” buildings, or existing properties in city centers which were close to existing telecommunication infrastructure. In cities such as Los Angeles, the commercial property absorption in city centers was at a low, providing very available and affordable space for the emerging colocation industry. The power densities in those early days was minimal, averaging somewhere around 70 watts/square foot. Thus, equipment installed in colocation space carved out of office buildings was manageable through over-subscribing air conditioning within the space. The main limitation in the early colocation days was floor loading within an office space, as batteries and equipment cabinets within colocation areas would stretch building structures to their limits. As the data center industry, and Internet content hosting continued to grow, the amount of equipment being placed in mixed-use building colocation centers finally started reaching a breaking point in ~2005. The buildings simply could not support the requirement for additional power, cooling, backup generators needed to support the rapidly developing data center market. Around that time a new generation of custom-built data center properties began construction, with very little limitation on either weight, power consumption, cooling requirements, or creativity in custom designs of space to gain greatest PUE factors and move towards “green” designs. With few exceptions these customers demanded much higher power densities, physical security, redundancy, reliability, and access to large numbers of communication providers. Small data centers operating out of office building space find it very difficult to meet demands of high end users, and thus the colocation community began a migration the larger data centers. In addition, the loss of cash flow from “dot com” churn forced many data centers to shut down, leaving much of the small data center industry in ruins. New companies are finding it very difficult to justify spending money on physical servers and basic software licenses. If you are able to spool up servers and storage on demand through a cloud service provider – why waste the time and money trying to build your own infrastructure – even infrastructure outsourced or colocated in a small data center? It is simply a bad investment for most companies to build data centers – particularly if the cloud service provider has inherent disaster recovery and backup utility. Even existing small eCommerce sites hitting refresh cycles for their hardware and software find it difficult to continue one or two cabinet installations within small data centers when they can accomplish the same thing, for a lower cost, and receive higher performance refreshing in a cloud service provider. Even the US Government, as the world’s largest IT user has turned its back on small data center installations throughout federal government agencies. Shift IT investments to more efficient computing platforms and technologies. Adding similar initiatives in the UK, Australia, Japan, Canada, and other countries to eliminate inefficient data center programs, and the level of attention being given to these initiatives in the private sector, it is a clear message that inefficient data center installations may become an exception. Hope for Small Data Centers? Absolutely! There will always be a compelling argument for proximity of data and applications to end users. Whether this be enterprise data, entertainment, or disaster recovery and business continuity, there is a need for well built and managed data centers outside of the “Tier 1” data center industry. However, this also means data center operators will need to upgrade their existing facilities to meet the quality and availability standard/requirements of a wired global network-enabled community. Internet and applications/data access is no longer a value-added service, it is critical infrastructure. Even the most “shoestring” budget facility will need to meet basic standards published by BICSI (Ex BICSI 2010-002), the Telecom Industry Association (TIA-942), or even private organizations such as the Uptime Institute. With the integration of network-enabled everything into business and social activities, investors and insurance companies are demanding audits of data centers, using audit standards such as SAS70 to provide confidence their investments are protected with satisfactory operational process and construction. Even if a data center cannot provide 100,000 square feet of 300 watt space, but can provide the local market with adequate space and quality to meet customer needs, there will be a market. This is particularly true for customers who require flexibility in service agreements, custom support, a large selection of telecommunications companies available within the site, and have a need for local business continuity options. Hosting a local Internet exchange point or carrier Ethernet exchange within the facility would also make the space much more attractive. Large data centers and cloud service providers are continuing to expand, developing their options and services to meet the growing data center consolidation and virtualization trend within both enterprise and global Internet-facing community. This makes sense, and will provide a very valuable service for a large percentage of the industry. Small data centers in Tier 1 cities (in the US that would include Los Angeles, the Northern California Bay Area, New York, Northern Virginia/DC/MD) are likely to find difficulty competing with extremely large data centers – unless they are able to provide a very compelling service such as hosting a large carrier hotel (network interconnection point), Internet Exchange Point, or Cloud Exchange. However, there will always be a need for local content delivery, application (and storage) hosting, disaster recovery, and network interconnection. Small data centers will need to bring their facilities up to international standards to remain competitive, as their competition is not local, but large data centers in Tier 1 cities.